Technology is helping small businesses do more with less. This helps them compete with larger businesses that used to have a competitive advantage due to their ability to buy and distribute in bulk to offer lower prices. Small businesses are not the only ones benefitting from technology, however. Technology also helps larger businesses streamline their processes, gain better insights into where their business is booming and where it is failing and even cut down on waste. One of the many things that technology is helping businesses to do is to better manage their human resources. Here are 4 ways that technology can help you streamline your staff management. A great deal of time is spent transferring documents and information back and forth between departments and even within departments. HR in particular is often inundated with requests for information regarding benefits and incentive packages. In many cases, employees end up with out-of-date SOP’s or other forms, documents and paperwork stored on hard drives that they end up passing along to others. This is like the members of a football team all working from a different playbook. No matter how large or small your business may be, setting up a secure internal intranet can help keep everyone in the loop and working from the same playbook. An intranet also offers powerful search features, which can help employees quickly find just what they need exactly when they need it. Scheduling often remains one of the biggest nightmares of most businesses. The truth is, employees have lives, which often come into conflict with the needs of the business. Large businesses struggle with having a bigger staff to manage, but small businesses struggle with having a single individual overseeing a number of employees. Automating your scheduling can go a long way towards keeping everyone happy. Business owners and managers can input the scheduling needs of their business and employees can request time off or make shift changes directly in the system. If an employee is trying to trade shifts with someone who is not actually qualified to do their job, the system can check for that as well. Automating your scheduling helps avoid double booking employees or booking employees when you verbally agreed to give them time off. It also ensures you don’t end up with three of your 15 employees all out on vacation at the same time. It is important to keep in mind that more communication is not necessarily better communication. Employees are often inundated with so much communication through so many channels that they don’t have any time to actually get their work done. In addition, requests for information can start in an email, get sent back via chat and passed on to someone else via text message. This makes continuity almost impossible and information can’t be adequately searched when so many outlets are involved. Effective communication requires setting up specific channels for specific types of communications and keeping them consistent. Instead of allowing your administrative assistant to send out several emails a day about general office business, you can set up a digital bulletin board that employees can check once a day. Individual departments or teams can still communication via their preferred method of communication internally, but you can use a secure intranet for inter-departmental communications. The best part about digital bulletin boards, however, is you can also post items in a single office or across the globe right from your desk. Theoretically, you can remove a Phillip’s-head screw with a standard screwdriver. If you need to remove one screw, it can do the job just fine, but if you need to remove 100 screws, your efficiency will diminish significantly. Having the right tools can significantly increase productivity and create a smooth, streamlined process. Using the wrong tools not only leads to decreased efficiency, but often results in a frustrated staff, which can in turn have a decidedly negative effect on the work environment as a whole. Getting the right tools, however, also requires balance. The exact right tool for your accounting department might be different from your marketing department, while the tool that is right for the business as a whole may be more suited to sales than to marketing or finance. As in all of life, the needs of the individual (or department) have to always be balanced against the collective needs of the business as a whole. Remember the goal is not necessarily to make everyone happy, its to get everyone working together efficiently. Knowing you are doing your job well, however, creates job satisfaction, which will trump happiness every time. Providing the right tools for your staff to do their jobs well can create a far better environment for all of your employees. Managers and small business owners can feel overwhelmed by the needs of their staff no to mention severely outnumbered. Technology can help balance the scales. Technology can help your staff operate more independently while still functioning together as a single unit or team. Technology can also help manage traditionally difficult issues like scheduling and the distribution of benefits information. Moving to a new system may cause some turbulence at first, but it can also create far smoother sailing over the long haul. There are several management styles currently in favor. Task-oriented management styles and people-oriented styles represent two popular schools of thought related to management best practices. As is suggested by the names, the people-oriented style focuses on employees first and foremost. Comparatively, a task-oriented style focuses on the satisfactory completion of tasks as the main objective, with people-management relegated to a lower priority status. Below are things that people-oriented HR professionals do differently. 1. Lead by example to help employees manage stress. Stress is one of the main health issues that employees face. People-oriented managers know that the best way to encourage healthy behavior is through modeling that behavior in their own life. Promoting healthy behavior that lowers stress levels means working few if any overtime hours and not emailing employees over the weekend. Managers should take vacation days and mental health days as needed, so that employees understand that this behavior is acceptable and encouraged. Far too many employees skip vacations because they worry that the lost time will put them at a disadvantage in the workplace. 2. Stay active and keep employees motivated and active. Maintaining a high-energy level is a main objective for HR managers seeking the best results for all parties concerned. Managers who care about employees know that keeping them active throughout the day benefits both the employees and company. A few strategic choices can make a lot of difference. Taking walks to discuss something with an employee instead of a sit-down meeting is one idea. Forward thinking HR managers also provide the option of using standing desks. Since management always sets the tone and expectations, it is key that employees see HR managers taking frequent breaks and getting up to stretch or take a walk on a regular basis. 3. Verbally show your gratitude on a regular basis. A simple “thank you” goes a long way with employees. While it is widely accepted that employees work for the money, what is also recognized by experienced HR professionals is that employees truly appreciate kind words and appreciation. These meaningful gestures boost morale and create a positive and welcoming work environment. 4. Implement fun and simple wellness initiatives. Complicated changes are difficult to implement. Forming a walking club at lunch and changing out sugary, fat sweets and replacing them with fruit and healthy snacks in the break room are two simple ways to make a difference. 5. Offer classes to teach employees about stress-busting habits, nutrition and exercise programs. Creating an environment where health and wellness are encouraged makes employees feel appreciated. By providing classes, employees can gain insights and knowledge about incorporating healthy habits into their life. This management practice helps staff members shift their mindset towards healthy habits and has proven to also lower costs related to healthcare expenses and lost productivity from work due to absenteeism. 6. Provide employees with 30-minutes of paid exercise time to be used at the company gym or to take an exercise class on-site. One of the reasons employees don’t exercise is because they say they are too busy. That’s why it is so important for corporate HR professionals to strongly encourage healthy habits. Nothing shows corporate commitment to an idea like backing it financially. 7. Practice regular communication to discuss goals, challenges and progress. Employees work best when they feel connected and can express their concerns about work objectives. There is nothing more frustrating than being charged with a responsibility but being unable to perform well due to a lack of resources like information, training or technology. By making it easy to obtain assistance or direction when necessary, employee morale remains high. For example, if an employee is struggling with IT issues and can send a simple email to get immediate help, then stress levels and productivity are minimally impacted. There should never be any doubt in an employee’s mind about how to get the help they need. Regular feedback about performance is also mandatory for morale and to achieve the best results. Without regular feedback, problems can spiral out of control impacting both the employee and company negatively. This is a communication issue and can be easily prevented with regularly-scheduled feedback from managers. 8. Commit adequate resources to train employees as needed. Well-trained employees are happier and more prepared to meet corporate objectives. For best results, it is crucial that training classes are held regularly and as needed. Training manuals should also be upgraded and made available so that employees can consult them as needed. Good training is the foundation for excellent performance and employee satisfaction. All employees want to do their best. It is important to remember that training tools should be designed for the different ways people learn. Some staff members are audio learners and others do their best in hands-on learning environments. A third group wants to see their training materials in writing. Covering all the bases with a variety of training tools will yield the best results. HR professionals have a lot of power to shape the workplace. By employing strategies aimed at making employees happier and more productive, any company stands to benefit. People-oriented HR leaders recognize the fact that taking care of employees equates to taking care of the company. Successful human resources activities are the backbone of any productive organization. No matter what product or service you provide, you’re going to need quality employees to be able to deliver it. While most business owners recognize the importance of human resources, they aren’t always the best at it. HR isn’t something that every business executive is an expert in. Instead of trying to master both running your business and doing HR tasks, it is probably a good idea to automate some HR functions. Here are five processes that you should consider automating for your business as soon as possible. One of the most essential HR tasks is payroll. You have to pay your employees and make sure that it’s done right and on time. If there is a mistake made, fixing it in a timely manner is critical. After a few payroll errors, your employees may start to wonder about the long-term viability of your business. Few things can upset employees like not getting their paycheck on payday. Many businesses are now automating their payroll to another provider that handles that. With something so detail oriented, you want someone who does payroll for a living handling that. There are many quality payroll companies that can do this for you, for a reasonable fee. It’s usually more affordable than having a department that handles this internally. Besides payroll, handling expense claims and reimbursements is also time-consuming. This can usually be lumped in with payroll and outsourced to a reputable provider. Another area that you may want to automate is employee records. When your company is new and small, it may not seem like much of a chore to keep track of employee records. However, as your company grows, this can quickly turn into a full-time responsibility. As an employer, you have to keep track of numerous records for each employee for the duration of their employment. By automating this task, you’ll free up time to devote to essential business functions. One of the essential HR functions in running a business is evaluating your employee’s performance. Keeping track of employee performance and then giving them regular reviews is critical to ensuring the success of your operation. Automating can help HR organizations and departments by keeping track of employee performance metrics without the need for human interaction. Automation of performance evaluations lets you more easily spot any systemic issues or bottlenecks that need to be solved. Employees and systems can give you feedback to improve the process. The automotive industry is a great example of how automation can improve processes dramatically. Thanks to automating, there are fewer errors, lower costs, and productivity is improved dramatically – think of Henry Ford and bringing production time of a single car down from 12 hours to 90 minutes type of improved. Such drastic improvement was only possible because auto manufacturers valued and listened to their employee’s feedback. They were willing to implement changes based on their recommendations. Employees were strongly encouraged to share feedback and then report any issues immediately to management to streamline their processes. Today, these same principles are used in the digital sphere. Automation gives companies real-time feedback on their employee’s performance and processes so that changes can be made quickly. While you may want to keep the same employees forever, the likelihood of that happening is not very realistic. Turnover is a part of doing business and this means you’re going to have to be able to recruit and onboard new employees. By automating the recruiting process, you’ll have a steady stream of capable recruits available whenever you need them. Not only that, you’ll also have an automated process to help them get set up as an employee. They can be sent all the forms and documents they need automatically, complete them, and then get started with training immediately. Another time-consuming process in human resources is handling time-off and holiday requests. When you start to get several employees and all of them are entitled to a certain amount of paid time off or vacation, it can be really time-consuming and confusing trying to keep track of all of that. By automating that process, you can easily track when all employees are scheduled to be off, and who is available to work. When you automate the process of requesting time off, employees will also like it more than having to ask their boss for time off. It’s much simpler to enter information into a computer system than having to ask someone for permission. 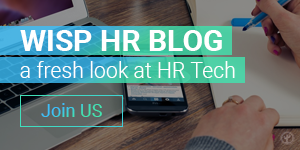 Overall, automating as many HR tasks as possible will pay big dividends over time. By maximizing automation, you’ll eliminate human errors, get real-time feedback on your processes and improve the company’s overall productivity. Regardless of how small or large your business is, the team that you assemble to work for you is an essential component to its success. As soon as you begin hiring staff members to join your startup, you must take on important human resources responsibilities. In many cases, hiring and developing talent as well as maintaining relationships with each team member can be stressful and challenging, and serious mistakes can be made. Approaching the hiring and management tasks professionally from the start is essential for the success of your startup. It can reduce the number of issues that you run into and their severity. This means that you need to develop and follow effective human resources policies and processes immediately, and these should be scalable to accommodate growth in the years to come. Identifying common human resources mistakes that startups make can help you to avoid making these same mistakes yourself. These are among the more common mistakes that startups make in the realm of human resources. It may seem like hiring an employee to join your team is a relatively straightforward process and that you require little to no help with it. However, hiring a human resource professional as soon as possible to facilitate the hiring and management processes can help you to choose the right individuals to join the team. This step could also help you to retain the talent that you have worked so hard to recruit. 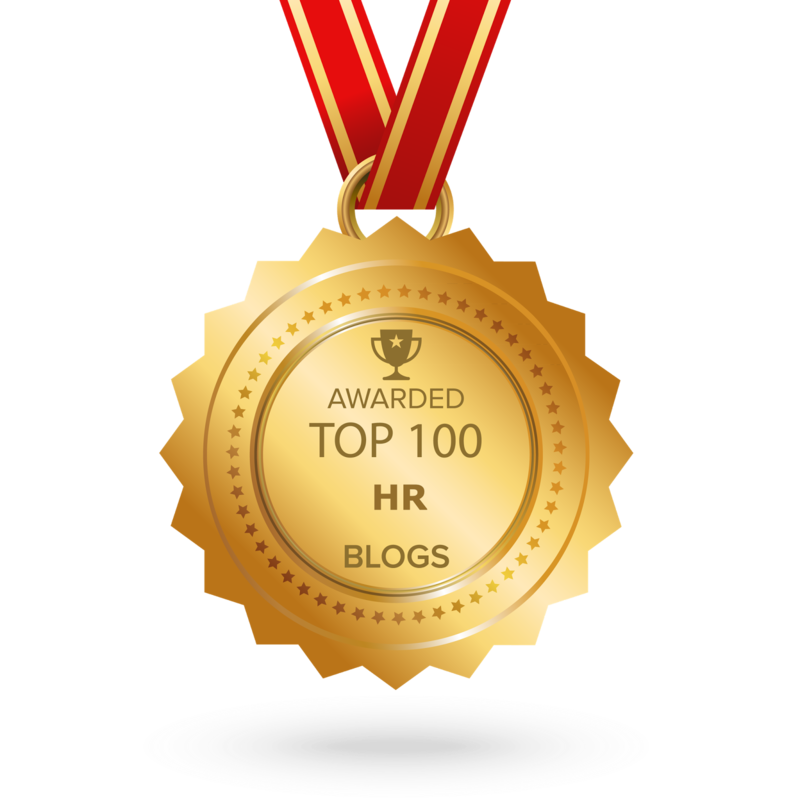 A good rule of thumb is to add one HR manager for every 50 employees on your team. This ensures that each individual on your team is properly managed. It also can help your HR team to identify potential issues that need to be addressed, answer their questions to promote happiness in the workplace and more. It is wise to have your HR professionals hired before adding even more individuals to join the team. Entrepreneurs may be stressed with many responsibilities related to starting and growing a young business. With this in mind, it is understandable that you may take the approach of hiring any individual to join your team who has the right skillset and experience. However, there are many other factors to consider when making a hiring decision than simply the credentials on a resume. For example, a new-hire should have the right mentality to fit into corporate culture, solid personal skills to be an asset to the team and more. Your hiring process should successfully screen applicants in all relevant areas. When you hire the wrong individuals for your positions, you may have operational issues. These individuals or others in the team could become discontent when new-hires are a poor fit, and your employee turnover rate may escalate. This type of employee experience could ultimately cost the company a substantial amount of money. To combat this, you need to have a solid financial plan for your business, and you need to stick to it. This plan should focus on standardizing the hiring process and creating clear, effective criteria to make a hiring decision by. Many of the largest and most successful corporations have a strong and identifiable company culture. For example, Apple is known for its outside-the-box thinking and for hiring creative individuals with fresh perspectives. You may assume that a company’s culture simply develops over time on its own, but the reality is that culture is created by the business owner though individualized decisions. For example, the interactions between team members and management can lay the foundation for culture. Without culture, your business may flounder. Because of how important company culture is in even small companies, you need to understand how to create it. Choosing policies and processes that are aligned with the culture that you want to achieve is important. Your management team’s interactions with staff members also should represent culture. As you create corporate policies and business processes, the concept of corporate culture should also be in mind. While you may go to great lengths to hire new team members by focusing on their experience and skills, the business world is constantly changing. You need your existing team to be dynamic, and their ability to grow to meet changing needs is directly tied to the training opportunities that you provide to them. Keep in mind that your team members may also be personally interested in advancing within their career. They do not want to feel as though their skillset is outdated, and they may have a goal of climbing the corporate ladder within your company. Developing your team begins during the onboarding process, which is a time when a new-hire learns about company culture and professional development programs available to him or year. These development programs could include in-house training and mentoring, assistance obtaining certifications, college tuition reimbursement and more. Development opportunities should be offered, encouraged and available to team members free of charge. While many aspects of your business operations require constant attention and thoughtful effort, hiring the right individuals to join your startup team is essential. Unfortunately, many entrepreneurs make serious hiring and management mistakes, and these can ultimately be detrimental and costly to the business. If you are preparing to hire team members soon or if you are facing HR and management challenges, it may benefit your business to reassess your human resources efforts and strategies. Starting a new business out of your home is a financially-savvy decision in many cases. Approximately 69 percent of entrepreneurs make the decision to base their startup out of their home, and for good reason. When you run a new business out of your house, you can save a tremendous amount of money on overhead. With substantial technology now available to facilitate a work-at-home environment, many entrepreneurs are not hindered in any way by running operations out of their house. In fact, many of the most successful companies known around the world today were started at home. Just a few of these include Apple, Google, Amazon and Hewlett-Packard. As smart as it may be for you to launch a business from home, there may be some challenges to overcome. These helpful tips will guide you on a surer path towards success with your new home-based business. Even through you are launching a business from home, you still need to have a professional, dedicated space to conduct your work activities. This should be a space that is free from distractions and that will not co-mingle with living activities for you and other occupants in the home. One idea is to remodel a spare room and to transform it into a functional home office space. This space ideally will hold all of your business equipment and furnishings. For example, you may need a computer, a printer, a copier, a landline phone, a desk, a work table, seating for clients, storage space, shelves and more. Remember to also focus on the environment. For example, lighting and temperature can affect your productivity level and your ability to concentrate. As you remodel your space to create a home office, remember to focus on these important elements. One of the many benefits associated with starting a business from home and being your own boss is the ability to have a flexible schedule. With a flexible schedule, you may be able to enjoy a better quality of life and better manage a work-life balance. However, this type of schedule may also lead to the likelihood of wasting time throughout the day. For example, you may be inclined to sit down in front of the TV for a quick break, but that break could easily extend for an hour or longer unintentionally. To avoid wasting your valuable work time and to maximize productivity, it makes sense to create a schedule for your workday. Select a firm starting time as well as a finishing time. You can give yourself small breaks during the day, but most of your personal activities should be tackled outside of your work hours. There are some excellent time management and project management applications and programs that you can use to schedule your time as well as to monitor your breaks and non-work activities. Some entrepreneurs try to handle every task associated with running and growing their business. This requires them to wear many hats and to try to be an expert in everything that they do. This essentially can pull your attention away from the tasks that you are truly good at and that require your personal attention. Some tasks may easily and successfully be outsourced to professionals. Because of their expertise, you may enjoy better results and be able to use your time more effectively in the process. When you search for independent contractors or freelancers, look for individuals who have expertise in an area that you are weak at and who charge affordable rates for their services. An outsourcing relationship should ideally add value and help you to work more efficiently. It is easy to feel isolated and closed off when you work from home, but it can be detrimental to your efforts to seal yourself off. Reach out to other home-based business owners in different ways. These may be individuals in a related field that you may be able to work with professionally. It may be people in unrelated fields who you simply socialize with to get support as needed, get recommendations for service providers and more. While there are online groups that you can join, try to find live support groups or networking groups as well. These could be professional groups and clubs, or the y could be informal groups that you pull together on your own and that grow over time. You can even use these groups to casually promote your products and services. Regardless of whether you run a home-based business or your base of operations is in a more professional environment, marketing is essential. However, you likely decided to launch your business from home at least partially to conserve funds. Understandably, you also want to conserve money on marketing without negatively affecting business profits and growth. There are many cost-effective marketing options to consider, such as through social media, email marketing, cold calls, networking events in your local area and more. Remember to use your professional network to get the word out as well. You could spend a fortune on marketing, but a cost-effective campaign that is based on thoughtful, focused effort may have just as large of a return. When you run your own business out of your home, you have the flexibility and freedom to manage your activities in any way you desire. While there are no hard and fast rules regarding most aspects of your operations, you can see that these tips can help you to remain as productive as possible while also bolstering your chances for success. As you move forward, keep these tips in mind. Customer experience refers to the perception a customer has about their interactions with a given company. These interactions can be direct or indirect. An example of direct interaction is when a customer calls your customer service department. When a customer reads a negative or positive comment about your company on social media, they are indirectly interacting with your business. You need to acquire the right tools if you wish to improve your customer experience. The best ones help your company turn customer experience into increased revenue and accelerated growth, lower operation costs, and higher customer retention. Read on and decide if the following tools seem like the real deal. Freshdesk helps you categorize, prioritize, and assign tickets. It ensures you do not lose track of conversations. It features a team inbox that enables you to handle incoming support tickets from multiple channels efficiently. It makes sure no two agents accidentally work on the same problem. The tool lets you set deadlines for ticket response and resolution. It also enables you to split complex, multi-stage issues into smaller tickets called “child tickets. Freshdesk supports the discussion of specific parts of a ticket among your company’s top experts, leading to quicker resolution of complicated issues. Also, this tool supports live chat, lets you integrate your Facebook page, and Twitter handles, allowing you to manage them from the same place. Most importantly, Freshdesk offers a customer service portal and a website-related knowledge base that provides helpful information to visitors. Additionally, it allows customers to view ticket status and even share or vote on ideas. Office 365 Business is a complete cloud-based office suite. Think of this tool as an online ecosystem in which you can run applications, access remote data, exchange information, and collaborate on documents and files. Two of the most useful services that Office 365 Business offers are Microsoft Bookings and Microsoft Dynamics 365. Scheduling appointments with existing and prospective customers is critical, but it can be time-consuming. Sending emails, talking on the phone, and reminding people about meetings can take a huge chunk of your time. In the end, you do not give your core business the attention it deserves. Microsoft bookings offers a unique web page that allows customers to schedule appointments. Based on your availability or that of your staff, the customer selects the service they want and chooses a day and time, effectively booking an appointment. Microsoft Dynamics 365 offers integrated solutions that enable you to track leads, automate field service, improve operations, and drive sales. You accomplish all these activities using cloud-based mobile, enterprise-ready business applications. The beauty of this service is that you can use the apps even when offline. Reconnecting to the internet leads to automatic data. The tool allows you to provide your customers unlimited support. It is useful across a wide range of vertical markets such as media, retail, technology, government, and other small and large businesses. It is scalable whether you are a small or large organization. Zendesk enables you to serve your customers no matter where they are using live chat and short messaging service. It features forms, a customer relationship management system, and other tools that add extra data to your customer support tickets. Implementing Zendesk takes minutes, and it is accessible across multiple devices. It becomes for you a flexible support center that grows with your team. It allows automatic addition of the features you need as situations change. The Conversocial software is the perfect tool for managing all your company’s social media interactions. It intelligently prioritizes issues and tickets, ensuring the team does not delay or overlook the important ones. The software compiles onto one screen each customer’s interactions with your business. Customer support agents have their workflow simplified; the compilation helps them improve their effectiveness. If you are in retail, banking, healthcare, telecommunications, or utilities, this tool is a perfect choice. Live chat software is a versatile tool that helps you improve customer experience and grow sales. You will need to implement this useful tool on your website. If you are looking for software that offers both efficiency and quality, this is a great option. It allows your customer support agents to multitask. Typically, live chat suppliers allow agents to engage up to ten customers at a time. Your agents need training and must possess multitasking ability before they can handle several live chats concurrently. If you own an e-commerce site, this is the tool you need to help you quickly answer your visitors’ questions that could lead to a sale. Most online shoppers, especially the younger generation, prefer live chat to the phone. Live chat improves CX by satisfying customers’ immediate need for quick response to issues of concern. Consider yourself lucky if you have the good fortune of being able to run and build your business from home. When the business is new, you might be the only person working for it. However, as it begins to grow and expand, you might need to hire employees. Hiring an employee for your home office is as challenging as finding the right roommate. The following tips can help you sidestep a lot of issues. You never know how your family might react to the prospect of having a stranger share their private space. It is important to discuss with them from the get-go so that they know what to expect. Have them understand that the person is an employee and not a guest. Be sure to mention that they will not need to feed the person or have to make other inconveniencing arrangements. You do not want to have prospective employees wondering whether they got the wrong address. Full disclosure presents you as a person who is straightforward and considerate. You do not want a potential employee weighing whether or not they want to work from someone else’s home as they walk down the hallway. Non-disclosure might have them thinking you have something to hide. You will need to watch how candidates behave once they arrive at your home office. Do they look comfortable and at ease? Do not hesitate to ask them how they feel about it all. Attentively listen as they answer, understanding what they say and what they leave unsaid. If you had told them about it right off the bat and they seem uneasy during the interview, hire someone else. Experience and skills matter a lot, but character and integrity carry much more weight than these two qualities. It is better to hire someone worthy of trust even though they are inexperienced than hire an experienced person about whom you have trust issues. Be sure to conduct a thorough background check on all candidates. Ask people you trust for recommendations. You can always train a person, but you cannot induce character. Your employee needs privacy; you must spend some money to create a bit of privacy around their work area. Offer them an atmosphere like the one they would expect in a traditional office. Provide them with a desk, a chair, as well as the tools and technological devices they need to work efficiently — a computer, wireless connection, a phone, and so on. The office needs to be well-lit, too; consider hiring a professional to help you design the office. Finally, have your family understand that the office is off-limits. Invest some money in designing an office having its own entrance. The less likely it is that employees will meet someone from your family as they enter the office the better. Also, it creates a sense of professionalism, making everyone feel comfortable. While you might need to spend some money to achieve this, it is worth it in the end. You are the boss, and you do not want your employees to come across dirty dishes in the kitchen. It makes perfect sense to hire a housekeeper. Having someone who does your dishes, vacuums the carpet, and cleans the bathrooms makes the home office a nicer place for your employees. Also, such an arrangement makes you feel confident. This is a job, and you have expectations just like they have. Make it known right from the outset that you expect them to respect and follow all the rules and deliver results. Giving them an employee handbook demonstrates that you take your duties as a manager seriously. The manual should carry policies on office rules, working hours, use of office phone, sick days and any other relevant matter. Being clear about the boundaries relating to their presence at your home is critical. They need to know from the beginning the rooms they can enter and those they cannot. Can your employee use your kitchen to prepare their lunch? Do you want them to leave during their lunch break? What about bathroom arrangements? Ensure you have a bathroom for office use, too. Being able to work from home is an exciting opportunity. However, it can be daunting if you have no idea how to handle hiring employees to work in your home office. Do background checks, tell candidates and family what to expect, set rules and boundaries, and build an office with own entrance. These simple tips should help you to hire the right person and keep them. In today’s employment atmosphere, a growing number of companies are shifting toward a more flexible workplace. By implementing bring your own device (BYOD) policies employees are now increasingly using their own devices for business purposes. Even though such policies can bring numerous benefits to companies, they come with some inherent risks. The following four issues are worth examining before deciding on a BYOD policy. Every mobile device is vulnerable to hacks from outside sources. Your smartphone, tablet and laptop all have similar software that can be hacked if firewalls and other security features aren’t in place or aren’t updated regularly. Busy employees often put off their security updates. Unfortunately, their phones are then automatically open to potential attacks. In a regular IT environment, it’s up to the business’s IT department to secure every device used for company purposes. Since the devices are the employees’ private property, they are responsible of keeping them updated with the latest versions of security software. Viruses and malware have numerous pathways that they can take to infect an employee’s device. The worst thing is that an employee’s device could be hacked without them even being aware of the situation. For example, your employees can receive phishing email with a malicious link that could install viruses or malware when clicked on. The infection could then spread onto the company’s server and compromise corporate information in a matter of seconds. The phishing email could also look as if it’s from a familiar contact or even a legitimate website. It could ask your employees to click on a link and in order to log in into their account. The employees would then enter their user names and passwords on fake websites giving hackers access to their sensitive information. Identity theft is always a possibility in these hacking situations. Your employees might use their devices to connect to public Wi-Fi to access necessary data on your company’s server or to go online for personal needs. Unfortunately, using public networks is dangerous since they allow multiple people to connect to the same network, and that includes hackers. Hackers could intercept the data your employees download or upload, they could install malware on your staff’s devices and even gain access to their email. This is another way malware could spread from the infected devices onto the company’s server and compromise the safety of corporate data. Your employees need to be aware of these threats and take the appropriate preventive measures. Instruct your employees to turn off Wi-Fi when they don’t need it and disable it from automatically connecting to open networks. You can also set up a virtual private network (VPN) which will allow your employees to connect to a hotspot without worrying about data breaches. Connecting to a VPN encrypts and secures any data being sent or received. This disables hackers from intercepting sensitive information and compromising the security of your employees’ devices. The best opportunity for stealing corporate data is when a device gets into the wrong hands. Lost or stolen devices are always a big security issue, which can lead to leaked proprietary data and vulnerable business positions. IT professionals need a plan in cases this happens. A remote wipe policy is a very good solution which allows the IT team to completely remove all data on a device after it’s been reported missing. Since BYOD devices include an employee’s personal data, you need to make sure that the employee agrees to a remote wipe of every piece of data even before they are hired. Employees should see this step as both a protective corporate and identity-theft policy. To avoid any further information hacks, employees can also make it more difficult to access the data in the first place. A fingerprint or PIN passcode frustrates thieves, and they might toss the device before trying to access the information. These security issues aren’t a reason to forgo a BYOD policy. However, appropriate security measures are necessary in order for it to be successful. Begin your BYOD strategy by educating your employees about the importance of regular updates and how to recognize security threats. They need to understand that every piece of data is priceless to the business and their personal life. In reality, many people don’t realize how valuable their data is to hackers outside of the corporate atmosphere. Employees also need to agree to corporate statements, liabilities and compliance measures in order to make this BYOD program a success. At the very least, add professional indemnity insurance coverage to the company so that any data leaks are quickly resolved. Finally, by protecting the data with software and passwords, businesses can keep their proprietary information private. In the end, the employee’s device can be as safe as any company-issued electronic. Josh McAllister is a freelance technology journalist with years of experience in the IT sector, and independent business consultant. He is passionate about helping small business owners understand how technology can save them time and money. Josh is a contributor of a number of digital outlets, and well published including DZone, IoT World News, and Rabid Office Monkey. 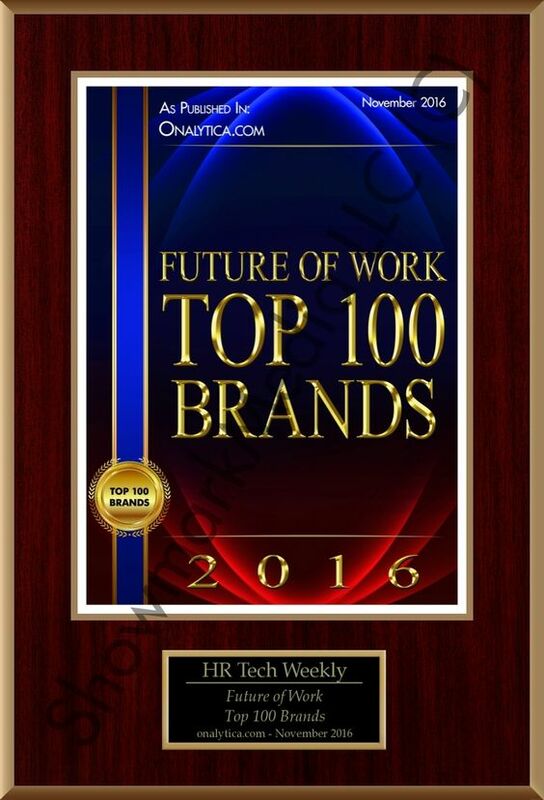 If you want to share this article the reference to Josh McAllister and The HR Tech Weekly® is obligatory.